Section Menu...Our Experts Listings • Our Experts - Alan S. Davis, M.D. • Our Experts - Annie Soriano, M.D. • Our Experts - Asha M. Thomas, M.D. • Our Experts - Berrin Ergun-Longmire, M.D. • Our Experts - Brian A. Janz, M.D. • Our Experts - Brian L. Bello, M.D. • Our Experts - Charles A. Hartjen, M.D. • Our Experts - Christina Li, M.D., FACS • Dale B. Johnson, M.D. • Our Experts - Edward T. Soriano, D.O. • Gia M. Bradley, M.D. • Ira M. Garonzik, M.D. • Our Experts - James L. Frazier III, M.D. • Our Experts - James Nace, D.O., M.P.T., F.A.O.A.O. • Our Experts - Jason M. Fixler, M.D. • Our Experts - Jeanette A. Linder, M.D. • Our Experts - John E. Herzenberg, M.D. • Our Experts - Lisa Gerberg, R.N. • Our Experts - Martin Engelhardt, M.D. • Our Experts - Mayer Gorbaty, M.D. • Our Experts - Melanie C. Brown, M.D. • Our Experts - Michelle Briggs, PMHNP-BC • Our Experts - Noman A. Siddiqui, D.P.M. • Our Experts - Oscar M. Taube, M.D. • Our Experts - Paresh M. Shah, M.D. • Our Experts - Parvathy A. Pillai, M.D. • Pedro P. Arrabal, M.D. • Our Experts - Peter Andrews, PA-C • Our Experts - Robert M. Saltzman, M.D. 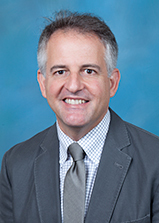 • Our Experts - Ronald Delanois, M.D. • Our Experts - Sally M. Pinkstaff, M.D. • Scott E. Brown, M.D. • Our Experts - Shawn C. Standard, M.D. • Our Experts - Susan M. Levy, M.D. • Our Experts - Terrie O. Dashiell, M.S., RN, CCP • Our Experts - W. Peter Geis, M.D. • Mark R. Katlic, M.D. • Our Experts • Laura K. Green, M.D. James L. Frazier III, M.D. LifeBridge Health > Press Room > Our Experts Listings > Donald Abrams, M.D. 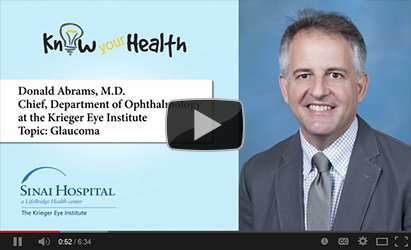 Our Experts - Donald Abrams, M.D. 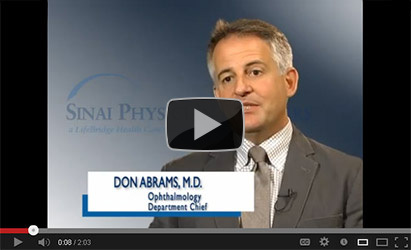 Donald Abrams, M.D., serves as the Chief, Department of Ophthalmology at the Krieger Eye Institute located on the Sinai Hospital of Baltimore campus. Dr. Abrams’ special interests include cataract surgery for glaucoma patients, cataract diagnosis and management, glaucoma surgery, glaucoma diagnosis and management and complicated eye health cases. To arrange an interview with Dr. Abrams, please call 410-601-2296 or send an email. Visit Our Experts for more information.